The Pegasus II descent phase is that point in the mission where you have to put your faith in your team’s work and just let it happen. There is nothing you can do. Just watch and wait for the life saving Main Parachute Deployment (MPD). It is hard to get a feel for this because it all happens in the remote and hostile environment of the upper atmosphere. 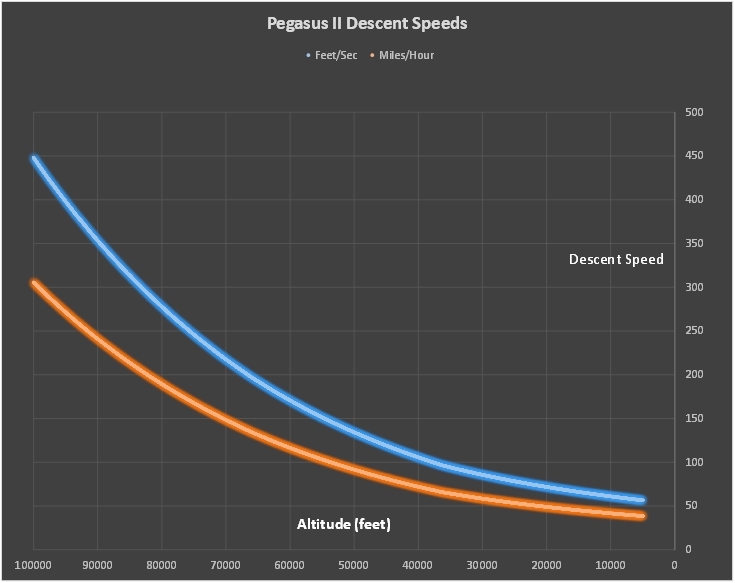 Below is the graph of the descent speed in fps and mph, which show you how fast the craft is falling on it 2 foot drogue parachute. It takes about 11 minutes to get from 100,000 to 12,000 feet on the drogue. Once MPD occurs at 12,000 feet, it takes about 7 more minutes to land safely at our 5,000 foot surface level altitude in Cheyenne, WY. The Pegasus II descent phase begins at 100,000 feet with the Delivery System Release (DSR). This is the point where Mission Control remotely separates the balloon from the craft. The craft will begin its descent phase using only a 2 foot drogue parachute to keep the craft vertical to help maintain communications. The speeds will reach over 300 mph in rarified air, and begin slowing as the craft plummets to lower altitude where the air is becomes denser. Pegasus II will be traveling far too fast to land safely on this 2 foot drogue and requires its main 7 foot parachute to be deployed to slow the craft. Main Parachute Deployment (MPD) is the highest stress moment for the flight, where only 67 seconds remain before the onboard fail safes kick in (hopefully) and try to force an MPD event 54 seconds prior to landing. The Pegasus Mission is all about experimentation and we have to put our craft, thousands of man hours, and our money at great risk to run some of these experiments. MPD is the single most nerve wracking, nail biting event on the entire mission. MPD is controlled by a processor running in the cloud that continuously estimates where the craft will be vertically 90 seconds into the future based on the current telemetry from the craft. A form of distributed intelligence. 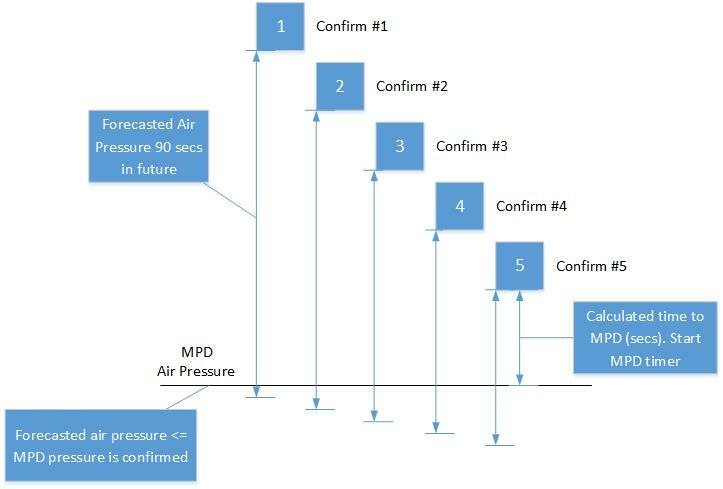 Once the processor determines that 5 consecutive forecasted values are at or below the MPD altitude (which is actually air pressure), then the processor calculates the time in seconds to when the craft hits the MPD altitude. A timer is started and the processor sends the MPD command when the timer elapses. 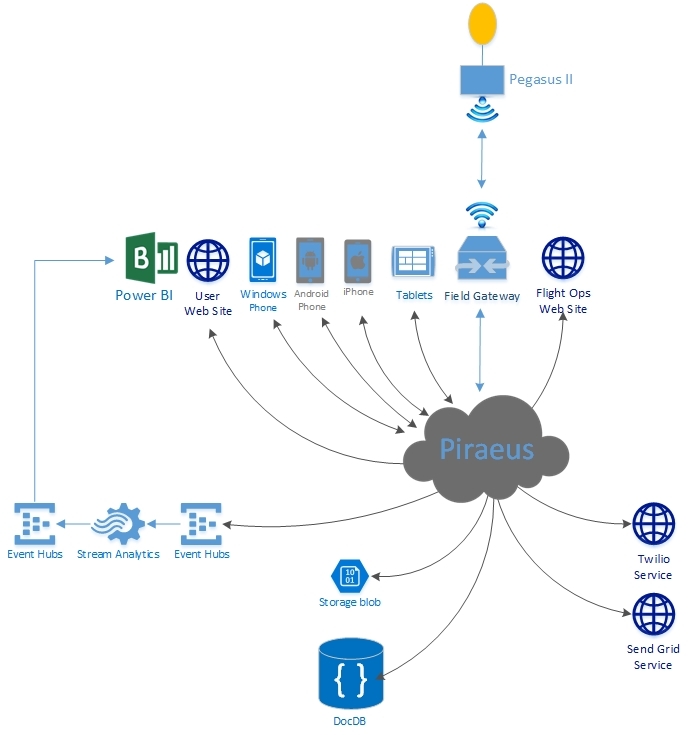 The field gateways should receive the signal from the cloud-based processor and send the MPD command to the craft. MPD should occur at 12,000 – 11,800 feet. The big bet is low latency. If the processor does not receive the telemetry at a fast enough rate, then the calculations will be off, i.e., the craft will not be where the processor thinks it is…too low. If the MPD command is not quickly sent and received the craft will be at a lower altitude than targeted, which reduces or eliminates the safety margin. We not just testing a special system for MPD, rather we are testing the entire system. MPD uses exactly the same infrastructure and software that sends the telemetry to thousands of users that view the flight. So, we are experimenting with a huge number of messages flying around in both directions (from and to) at the same time and at scale. Risky? If it wasn’t, then we would not learn anything. 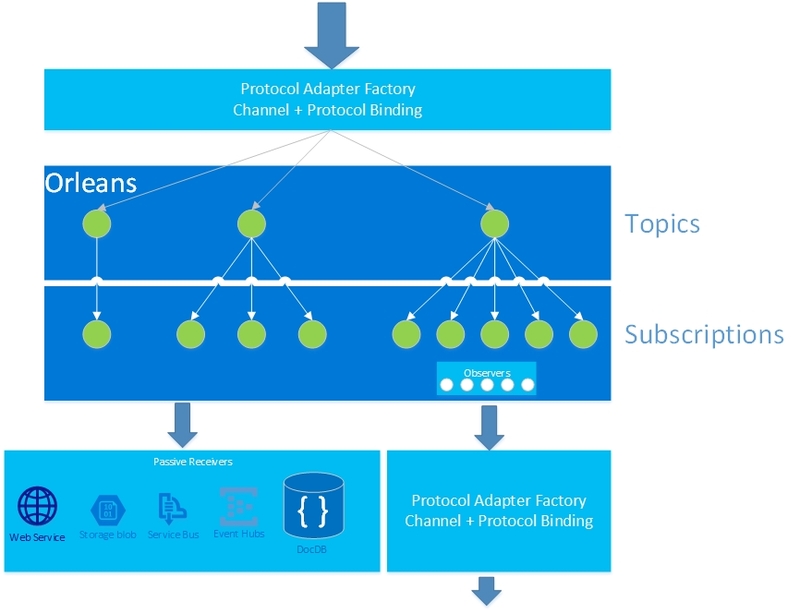 The previous post gave you a view into the communications architecture. 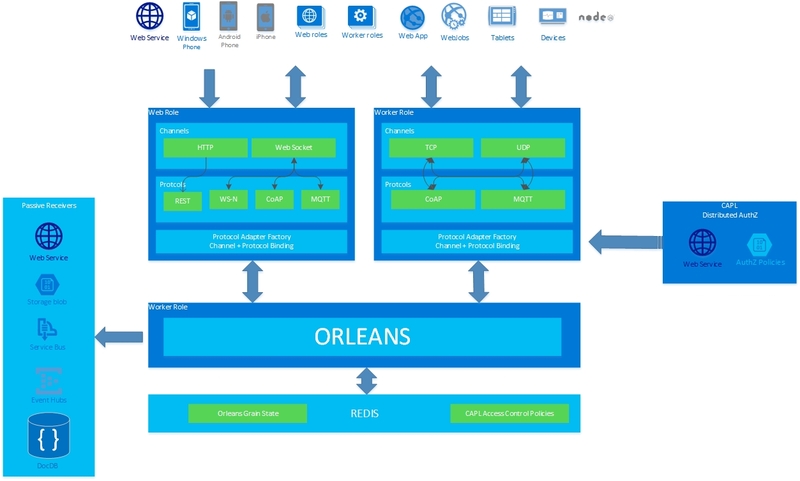 Today we provide a more detailed view on the overall system based on its functions. 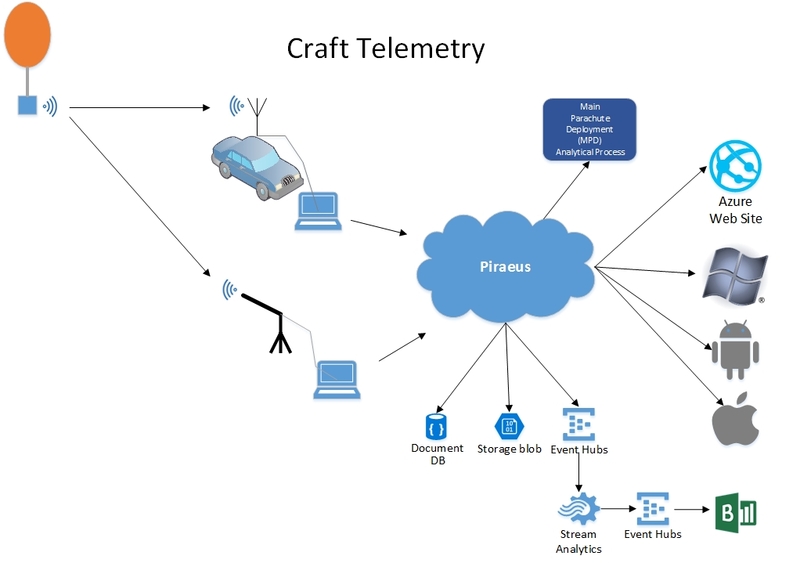 Craft Telemetry [Figure 1] is information flow from Pegasus II. This information is contains meteorological measurements as well as craft location and health. 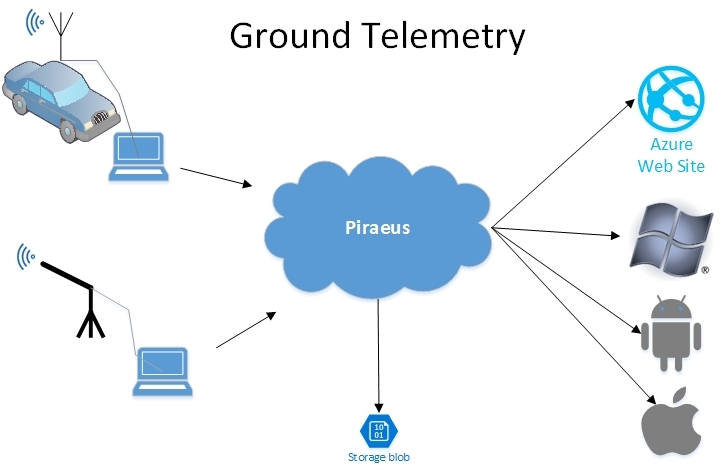 The Ground Telemetry [Figure 2] communicates information about location as well as information relative between the 2 ground stations (launch & mobile) and the craft. The Live Video [Figure 3] streaming video from Pegasus to the cloud and the launch site, which can be viewed on the Web site. 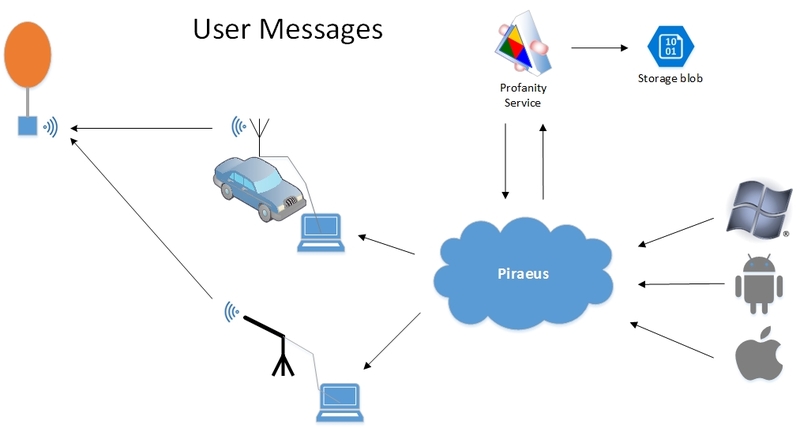 User Messages [Figure 4] allow users to send messages to Pegasus II while in flight from phone apps. 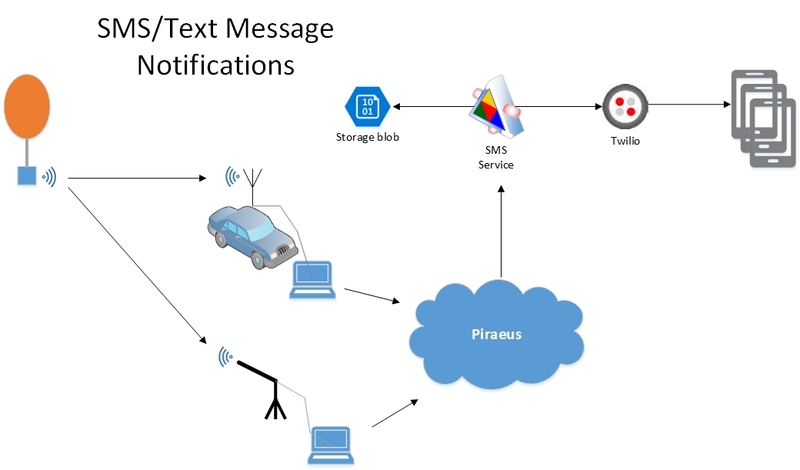 SMS Notifications [Figure 5] Pegasus II is capable of sending notes about interesting events during flight, e.g., when it is launched, altitude milestones, and the risky descent stage. Users can signup for these notifications and the craft will send you several text messages during the flight. 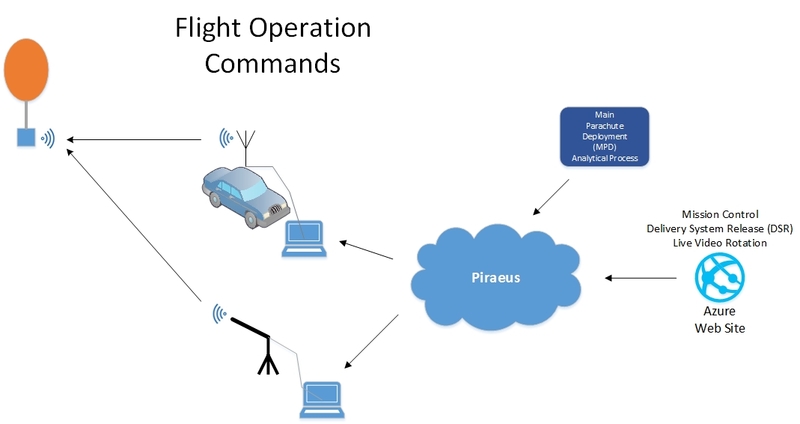 Flight Operations [Figure 6] are critical for control of Pegasus II during flight. 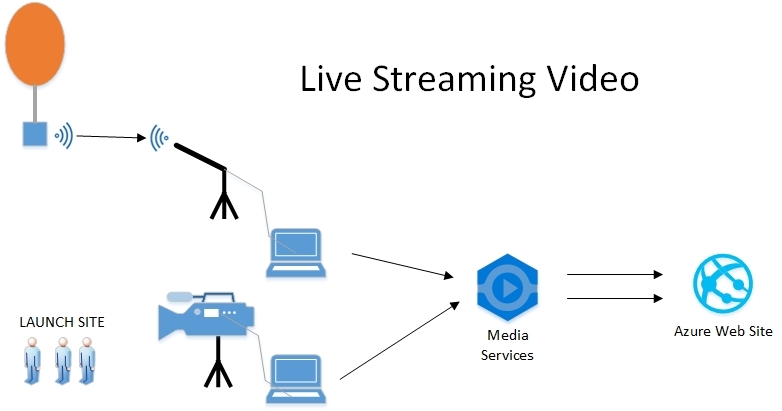 The rotation of the live video and the Delivery System Release (DSR) are controlled by Mission Control. DSR is the point where we release the balloon and begin the descent stage. During descent we will plummet toward the surface of the Earth reaching speeds around 300 mph in rarified air. The main parachute deployment (MPD) occurs only 1500-3000 feet on the surface, not much time until impact. Therefore, we are adding an analytics package to quickly analyze the descent and automatically execute Pegasus II’s MPD command. 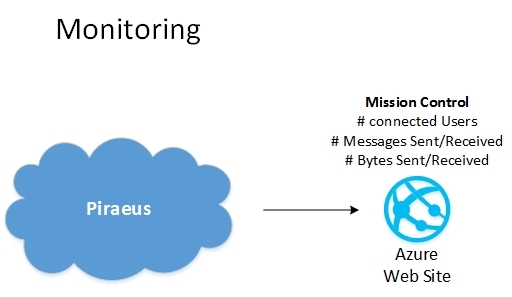 Finally, Mission Control can monitor aspects of the system [Figure 7] to understand the number of users connected to the system at any given time, messages sent and received, and the quantity of traffic within the system. Launch window is 7/10/2015 – 7/24/2015 in Cheyenne, WY. Dare Mighty Things.